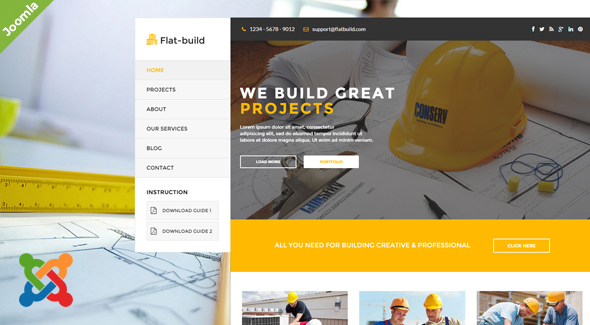 Flatbuild- is clean construction & business Joomla Template and retina ready. It is great, professional and easy to use template. You can use it for, business, construction, renovation, electricy, isolation etc.